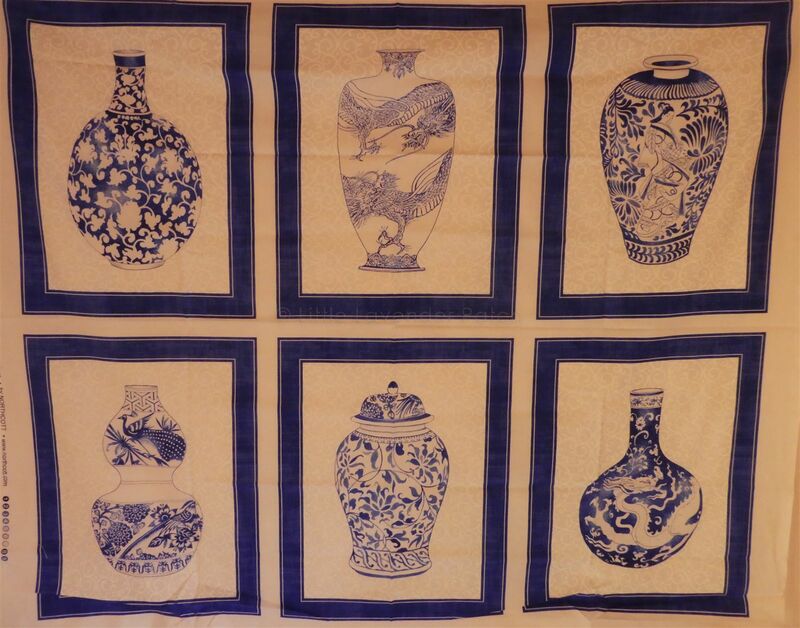 Cotton panel of 6 blue/white vases. Panel size is 35" x 44". 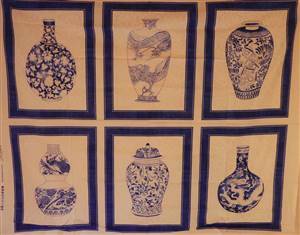 Each vase panel is 16" x 12.5"
Separate vases panels also available.